Three Square Market, a Wisconsin company is about to become the first one in the United States to offer microchip implants to its employees. What? Who on earth would allow themselves to be chipped? Are you so lazy that you can’t use an ID card to enter your business or use a credit/debit card to pay for things that you would have yourselves be chipped? 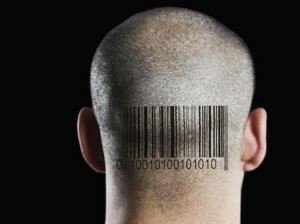 As reported at The Daily Caller, the microchips utilize Radio-Frequency Identification (RFID) technology, which can identify nearby electronically stored information through electromagnetic fields, much like contactless credit cards and mobile payment systems To the employees of Three Square Market, ask yourself why your company would provide this service to you for free. If you actually think that there is no GPS type device in this chip, I have a bridge to sell you. Microchip implant today, what’s tomorrow? Welcome to the Matrix. Yes, you read that right. Microchip implants. “It’s the next thing that’s inevitably going to happen, and we want to be a part of it,” Three Square Market Chief Executive Officer Todd Westby said. The company designs software for break room markets that are commonly found in office complexes. Just as people are able to purchase items at the market using phones, Westby wants to do the same thing using a microchip implanted inside a person’s hand. Each chip costs $300, and the company is picking up the tab. They’re implanted between a person’s thumb and forefinger. Westby added the data is both encrypted and secure. “There’s no GPS tracking at all,” he said. Sorry, I think this is a terrible idea. So credit cards have never been hacked, eh? This will absolutely bring tears to your eyes on this Mother’s Day … belo , simplesmente belo. Without doubt as stated at CNET, one of the most exciting and emotional events for parents about to have a child is getting to see their little tyke through an ultrasound. However, such an exciting moment was not possible for the blind. Not any more. This might be one of the most touching VIDEOS ever as Tatiana Guerra, a blind mother-to-be was provided a way to see her unborn baby for the first time thanks to 3D printing technology. The VIDEO will warm your heart. 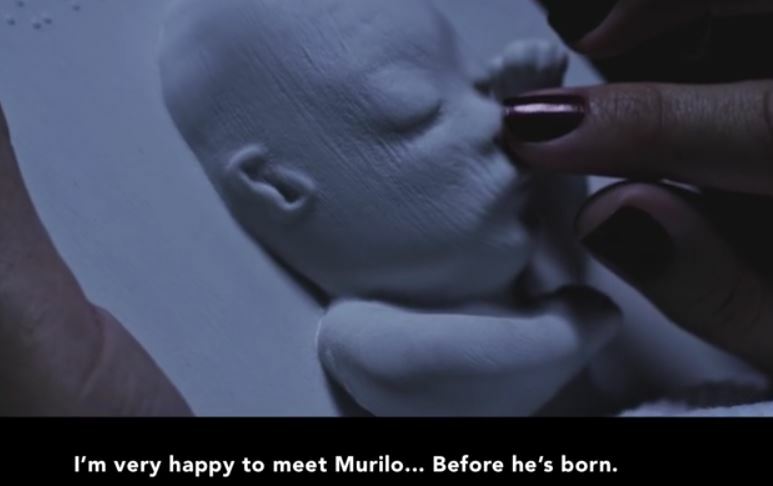 The video is entitled, ‘Meeting Murilo.’ But before Tatiana feels the actual 3D-printed sonogram of Murilo she reads a message in braille.“I am your son,” she says, laughing and crying all at all once. The 30 year old mom, who lost her sight when she was 17, was 20 weeks pregnant at the time of the exam. The video was uploaded on 4/30/15 and at last check it had 8,338,785 views. A blind mother-to-be was able to “see” her unborn baby boy thanks to the advanced technology of 3D printing. Tatiana Guerra didn’t think she could look forward to the moment many parents anticipate when they see their unborn child for one of the first times. But little did Guerra know what a surprise she was in for when she got to “see” her baby boy, Murilo in a way she probably never would have expected. Guerra, who was 20-weeks pregnant at the time of her sonogram visit, lost her sight when she was 17, according to 3Dprint.com. Now 30, Guerra could only imagine what Murilo looks like now and what he’ll look like once he’s born. “Mommy can’t wait to feel your little body, your little face, your little hands,” Guerra says in a video uploaded to YouTube April 30. This is the heartwarming moment a blind mom-to-be got to “see” her unborn baby for the very first time — thanks to a 3D-printed ultrasound. The 30-year-old, who lost her sight aged 17, is then handed a printout by her doctor. Guerra then bursts out into tears of joy as she carefully caresses and traces the rest of the special ultrasound. “I’m very happy to meet Murilo … before he’s born,” she says. 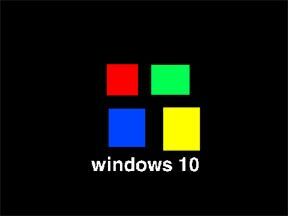 The update which should be coming out in 2015 will be such a big change they have decided to jump past 9 to 10! Daily Commentary – Monday, September 29, 2014 – What Should You do With Your Old Cell Phone? 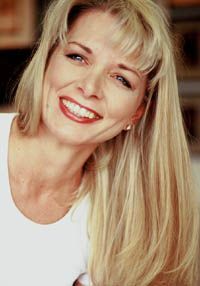 Technology expert Kim Komando has some great suggestions for you!